Well, its been a stormy month for Lebanon, no? Norma and Tracy hit well; but we know, most of the Lebanese people will be spending their weekend in Faraya. And for this, we’ve asked our community how they actually drive on snow like pros to keep you safe on your way there. 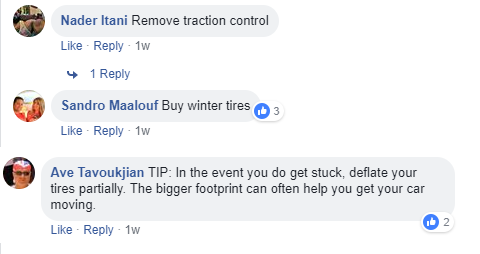 Our community members might have some good points for you to drive like a pro on snow, but Karrenn got you covered too for you winter months! Here are 10 tips on how to get your car ready for winter.